Have you read the writing on the wall? How about the Terms and Conditions for your favorite social media sites? Well, whether you’ve read them or not, if you’ve checked that “accept” button and are using the site, they apply to you. I think most of us feel about website Terms and Conditions the way that comic, Eddie Izzard, describes in this video. For the purpose of learning more about social media sites’ Ts & Cs, I read through Facebook’s and Twitter’s and some others, as well. I’ll be taking a closer look at the User Agreement for LinkedIn. I chose this document out of all of the ones I read through, because I felt it took the most balanced approach. First of all, I really like the format. LinkedIn tries to communicate to the user in easy-to-digest bites of information and organizes it with a sidebar, whose only purpose is to help explain what they’ll be covering in each section. If you took a look at Facebook’s or Twitter’s Ts & Cs, you know that that is not always the case. I also like how LinkedIn seems to be trying to use real conversational language in their Ts & Cs whenever possible. From an ethical perspective, this is important because I think it shows that the company is making its best effort to make sure their Ts & Cs are not just binding, but understood. The inclusion of this video at the top of the page also helps communicate that to their users. In terms of safeguards, LinkedIn is very clear that, “When you share information, others can see, copy and use that information.” They also make it very clear in their Disclaimer and Limit of Liability that they are not liable for any damages, loss of services, opportunities, reputation, data, profits or revenues related to their services. Here’s where is gets tricky. After having read through so many of these Ts & Cs, I now look at them as the contracts that they are. Companies, like LinkedIn, should be allowed to protect themselves by making statements like these in their Ts & Cs. Otherwise, they’d never be able to operate. It’s certainly a balancing act that sites like LinkedIn are doing in their Ts & Cs. For the most part, I think LinkedIn is doing a great job of both protecting themselves while explaining to their users the best way to conduct their business on their site. It’s true. Their List of user “Do’s” is much shorter than the “Don’t,” but as I read through them, I felt that they are reasonable, which is more than I can say for many others! So, read the Ts & Cs of the sites you are a part of. Are there any that stick out to you as being outrageous? Which social site do you think has the best Ts & Cs? Thanks for your review of LinkedIn’s terms and conditions. It was interesting to see how similar they were to Pinterest’s terms. Specifically, the summary and conversational language you found in LinkedIn was almost identical to the summary “how to” style for Pinterest’s terms. I especially liked the short video you shared and thought it was a nice touch that LinkedIn added for its users. I think that’s where the main difference was. That, and Pinterest had a few more examples of the Do’s and Don’ts. Your question on whether any site’s terms stood out made me think … just how crazy could companies go when it comes to their terms. Since I don’t read them on a regular basis, browsing the Internet didn’t let me down. Here are 12 memorable terms and conditions. Most of which seem to track your data. What are your thoughts on data tracking? Is this helpful or a complete invasion of privacy? When thinking about privacy – what are your thoughts on LinkedIn not sharing who has viewed your profile? For me, I get annoyed when I have that “Anonymous User” looking at my profile. I do think it’s a clever way for LinkedIn to entice you to pay more for an extra feature. Come to think about Facebook doesn’t have that reporting feature. Should they and how do you view LinkedIn vs. Facebook? I try to keep my worlds separated. LinkedIn is strictly for networking and professional work, whereas I view Facebook as a personal outlook for my thoughts, photos and connecting with friends. Very different content and very didn’t connections. Thanks for your comments, Frank. I hadn’t taken a look at Pinterest’s Ts & Cs, yet, and I agree with your assessment. They are very similar with their attempt to be more conversational than Facebook’s or Twitter’s. Unfortunately, I couldn’t see a the link to the memorable Ts & Cs you mentioned, but when doing research for this post, I did find some funny Ts & Cs spoofs that really cracked me up. I posted this on a discussion for this week, but it’s worth showing again. I also saw this spoof in the Huffington Post, which tells us how many people regard Apple’s Ts & Cs! As for data collection, I think we will get into that in future weeks when we discuss privacy. I tend to think that some data collection can be helpful when it comes to targeting my online experience to better meet my interests, wants, and needs. It’s the keeping and selling of the data, in particular, that gets a bit more hairy to me. LinkedIn’s anonymous feature doesn’t bug me too much, because LinkedIn is set up as a business site where many folks are looking to be discovered by businesses and agencies. Given the nature of LinkedIn, people shouldn’t be posting personal photos or content and their profiles should have a professional façade. Facebook, while it’s sometimes used by people as an extent of their public persona, more often it’s used more informally, keeping connections between family and friends. While I’m “friends” on Facebook with many of my fellow grad school students who I’ve gotten to know and also want to connect with them on LinkedIn, there are many folks I’m connected with on a professional basis that I wouldn’t invite to connect in a more informal setting, like how I treat my Facebook profile. I say all of this to explain that I think it would feel more like stalking if Facebook were to report to us who’s viewed our profiles. Whereas on LinkedIn, it feels innocuous to me. I like the fact that it is obvious that LinkedIn is doing their best to make their terms and conditions as easy to understand as possible without losing andy necessary legal verbiage. The video at the top is a great visual element to help users understand the terms and i think if every site offered that I would know more about their terms than I currently do. The first thing I noticed besides the video was the fact that they included the line: Note: You are entering into a legally binding agreement. 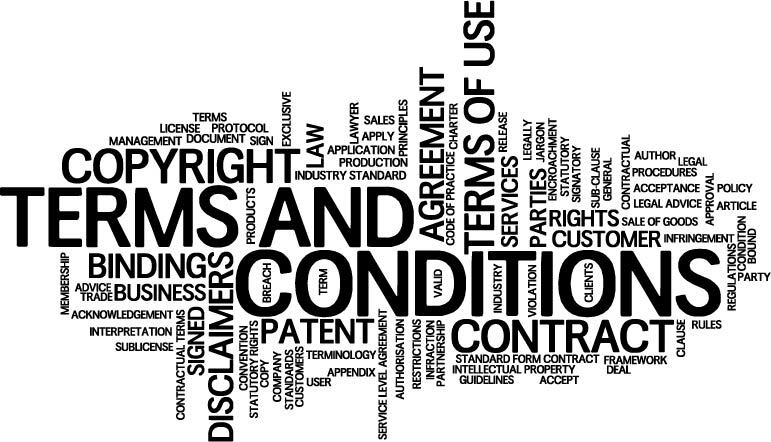 I don’t think many people, myself included prior to this week, think of terms and agreements as legal contracts simply because when you think of signing up for a social media platform you’re not really thinking about the legalities. The inclusion of this statement is a great reminder for people. I really like the sidebar that include both you and we statement because it was easy to follow/understand and it holds both parties accountable. Hi, Emily! Great to “see” you back after your internship with Samaritan’s Purse! I hope it was a great experience! Interestingly, after writing about LinkedIn’s Ts & Cs, I saw a fellow classmate mention that they prefer the all-caps text Ts & Cs to the bullet-pointed visual ones because at least with a text-heavy page, it’s easier to recognize what you’re getting into is a legal document. He said he thought more sectioned Ts & Cs made him less likely to read them, and instead was more likely to skim. I hadn’t thought of that before, but I can see his point. I still prefer the visual structure of LinkedIn’s Ts & Cs, though, believing it does make me more likely to read them. 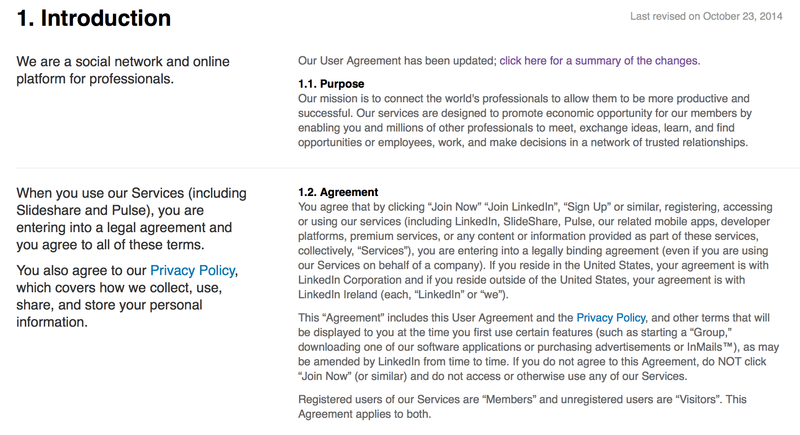 Great point about LinkedIn starting with “Note: You are entering into a legally binding agreement.” It definitely makes it clear that this is a contract you are reading and agreeing to. I think more sites could benefit from doing something similar to LinkedIn’s combination of straightforwardness and organization of their Ts & Cs. I really enjoyed reading your post about LinkedIn’s terms and conditions. After reading through Facebook, Twitter and Instagram’s Ts & Cs, I can officially say that LinkedIn is the most clear in its approach. Its language seems to be very conversational and the video “Who own your content? You do.” provided a nice visual element to accompany its text-heavy Ts & Cs. It’s comforting to know that if I ever chose to leave LinkedIn, the content I placed on the site will come with me rather than being stored in LinkedIn’s data vault. For my assignment, I took a closer look at Instagram’s Ts & Cs, and after reading LinkedIn’s, I’d say Instagram has some work to do. Can you believe that the photo and video-based social media platform doesn’t utilize any visuals to support its Ts & Cs? This is a complete oversight on their part, especially since people as young as 13 years old have accounts on the site. What would your thoughts be on Instagram creating a separate, easier-to-understand Ts & Cs section on its site for children ages 13-18, for instance? Going back to LinkedIn, I think the one thing that I feel sort of iffy about when it comes to them is the fact that users can see who’s looking at their profile. While I can see the value in knowing who’s checking out your professional accomplishments, part of me feels like its an invasion of my privacy. I wish there was a way for users to be able to turn on some sort of “view profile as invisible user” button so that they can “stalk” without people knowing who they are. Imagine the chaos that would ensure if people knew who was looking at their Facebook page. Just some food for thought. I look at LinkedIn’s anonymous feature as one that helps them gain revenue by incentivizing signing up for a different plan that allows you to see who is looking at your profile. I hadn’t thought of it as stalking, as you called it, but I get your point. It’d be nice to be able to turn off that feature. LinkedIn already is on the more pricy side of social networks, if you subscribe to a higher-tiered plan, so I’m sure if they did offer it, it’d be a money-maker for them! I view LinkedIn as more of a business network, often catering to job-seekers, whereas Facebook is definitely more personal. It would certainly be enlightening to see who has viewed your Facebook profile on a regular basis! I love your Eddie Izzard video, and including the LinkedIn video was very helpful for understanding, too. The sidebar you highlighted is similar to Pinterest’s “More simply put” boxes. 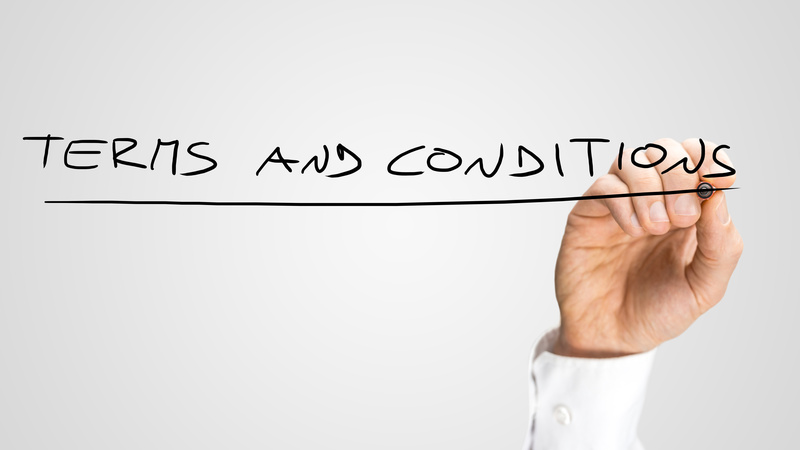 These are helpful tools for clarifying and simplifying the legal jargon that is standard in most terms and conditions. I fully agree that these terms and conditions are necessary for any social media platform’s daily operations, and I think most users understand the platforms’ need for them to minimize risk. The attempt to better communicate with users is certainly a positive move for LinkedIn. Great post. Thank you for the information! Hi, Kim! Thanks for commenting! If you liked the Eddie Izzard video, you should watch the documentary, Terms and Conditions May Apply. It gets into the privacy issue and is really quite eye-opening. Maybe we should require folks to watch it before agreeing to Ts & Cs, eh?